Inaam Noureldyme Mohammed, Soad Abdalaziz Suliman, Maha A Elseed, Ahlam Abdalrhman Hamed, Mohamed Osman Babiker, Shaimaa Osman Taha. Congenital brain malformations (CBMs) are a heterogeneous group characterised by abnormal structure of the developing brain. Their aetiology includes in-utero infections, teratogenicity and in a considerable group, genetic causes. Due to the high rate of consanguineous marriages and the possible high prevalence of prenatal infections in Sudan, CBMs are likely to be common. 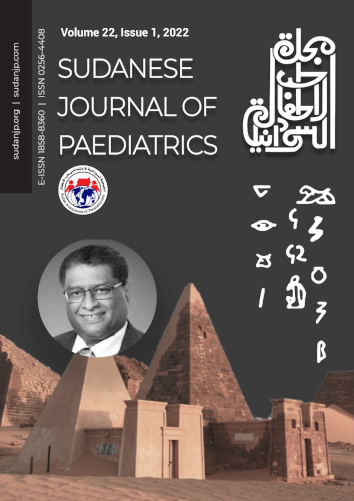 The main aim of this study was to review the clinical profile of children with CBMs attending two main tertiary paediatrics neurology outpatient clinics in Khartoum State, Sudan. Children under the age of 18 years who presented with developmental delay, seizures or abnormal head size were evaluated clinically and with neuroimaging for possible CBMs. Out of 2,114 patients seen within 6 months (September 2016 March 2017) at the Outpatient Departments, 105 patients (5%) were diagnosed with CBMs. Sixty patients (57.1%) had a single brain anomaly, 36 patients (34.1%) had two brain anomalies while nine patients (8.6%) had multiple brain anomalies. Collectively, cortical malformations either isolated or in combination with other anomalies were observed in 37 patients (35.1%), thus by representing the commonest CBMs. Community-based epidemiological studies are needed to ascertain CBMs prevalence, common causes and long-term outcomes.